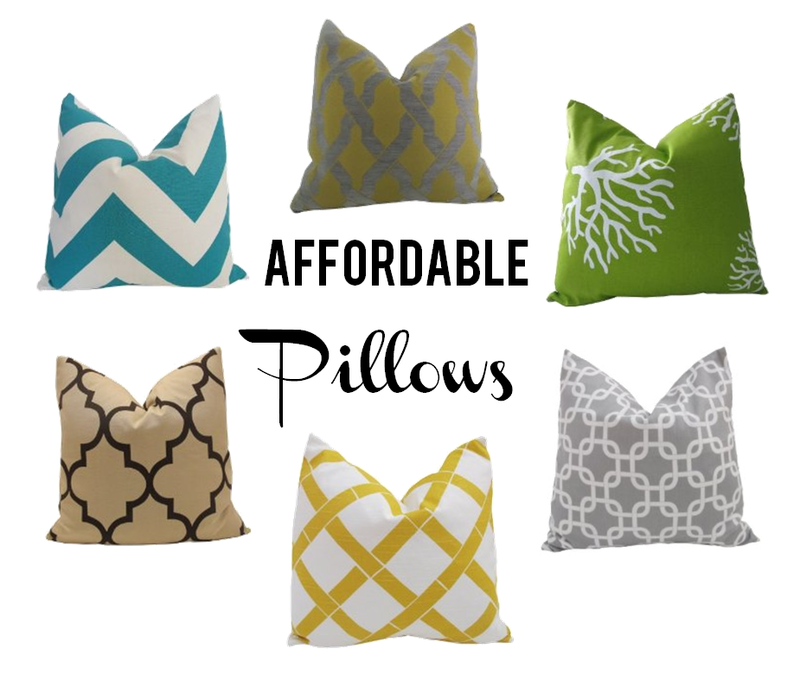 While shopping for a room board, I came across this great deal on pillow covers! It's the Nena Von line, available through Amazon! I've seen this seller on Etsy as well. All of the pillow covers pictured are $25 to $35 dollars each, a great price. Be sure to fill your covers with down pillow inserts, they look the best. Sears has great prices on down pillow inserts, and if you're local, Mesa Sales has them even cheaper. Very cute, love all those prints, especially the green, branchy one. Nice taste you have:) I love the yellow one! Hi! I like to stalk you apparently. I saw you at San Tan mall tonight and almost came up to say hi but didn't want to seem like a creeper. Your poor (cute) husband thought I was crazy doing double takes trying to make sure it was you. :) I think you're great! The pillows are great! Pairing interesting patterns with a solid color couch can have some striking outcomes! Definitely a great find.